Driverless cars could save hundreds of lives every year by eradicating driver errors and stopping speeding, engineers have said. Experts at the Institution of Engineering and Technology (IET) believe that computers could dramatically lower the 10,000 annual driver errors that occur on British roads. The charity Brake has added its support to driverless cars, stating they could lead to "significantly reduced casualties on our roads". Trials of the vehicles are to begin in January 2015 but it will be some time before they are available to own – in the mean time drivers will still be fully responsible when behind the wheel. For those working in the motor trade industry this means that road risks insurance will remain an essential part of their business operations, ensuring vehicles they have to drive are fully protected in case they should be involved in an accident. The government recently announced that four towns in the UK – Greenwich in south London, Bristol, Milton Keynes and Coventry – would be involved in a £19 million trial of driverless cars. The IET says that this has opened the door to these vehicles being seen in the mainstream within the next 15 years. 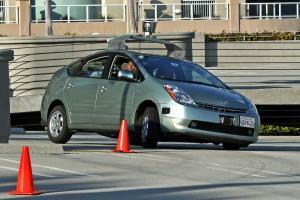 The IET commented: "Within 15 years, we predict that the performance of cars could be altered to fit the driver. A learner or teenager who has recently passed their test may have their speed limited automatically. However, a more experienced driver getting in the same car would be able to travel much faster."